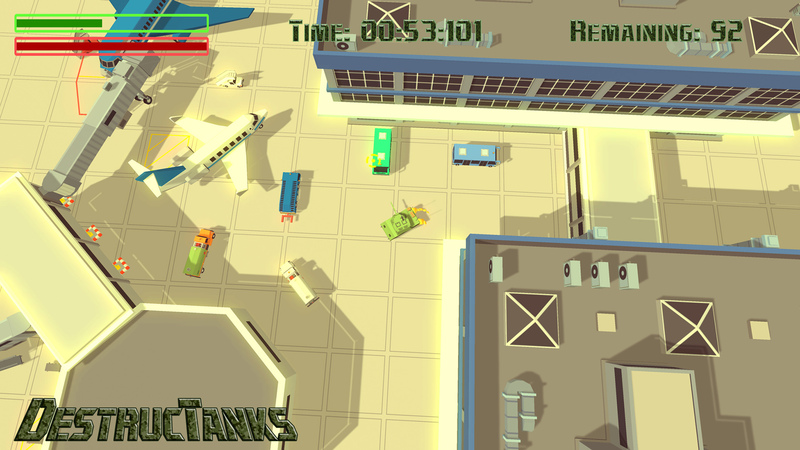 Destructanks is a low-poly destruction game where you control a tank with one mission: destroy everything! Blast your way through 10 missions, ranging from suburban neighborhoods to airports. This originally began as a fun side project of mine as I had always enjoyed arena tank shooters. 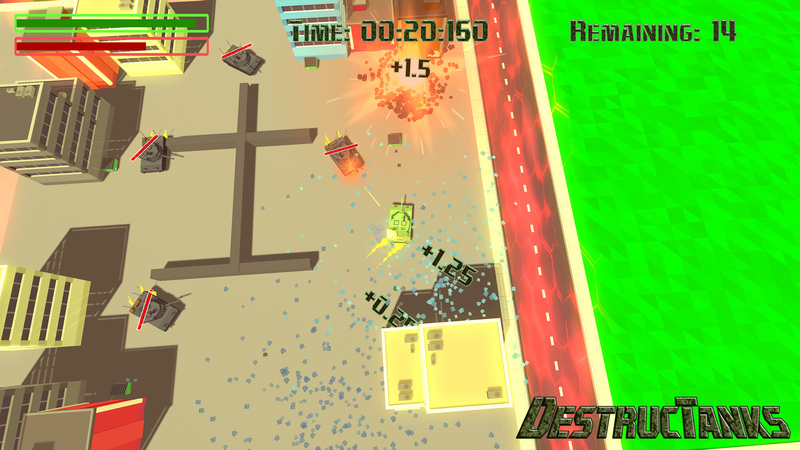 Rather than go the typical “put X number of tanks in an arena and let them battle it out” route, I decided to work-in some of the destruction tech I used in my other title Crash Co. and work it in to a slightly different tank shooter game. The premise remains simple. You start with a set amount of time and earn more by destroying items. The bigger the structure, the more time it gives you. Sizes can range from bushes in a front lawn to an airport terminal, and (obviously) the larger the object, the more it will take to destroy. 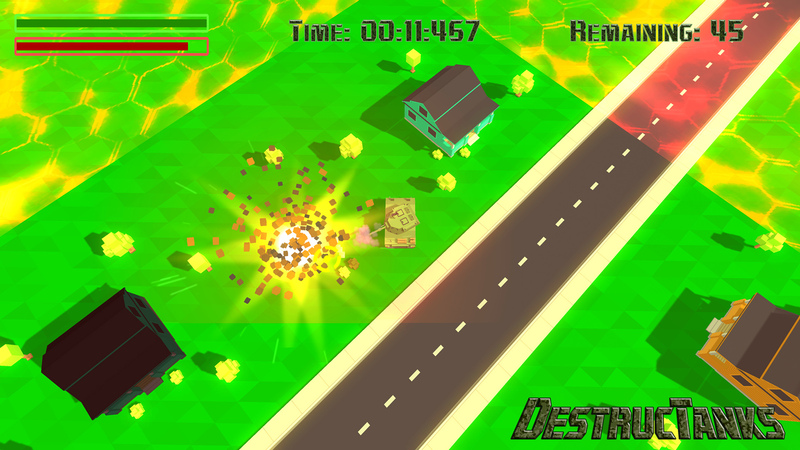 Along the way you will also encounter enemy tanks out to stop you from accomplishing your mission. Either evade them and carry on, or destroy them to add time to your clock. What are you waiting for? Get destroying!